Microsoft has started pre-orders for the 1TB Surface Book with Core i7 processor and 16GB of RAM, which comes at a hefty sum of $3,199. 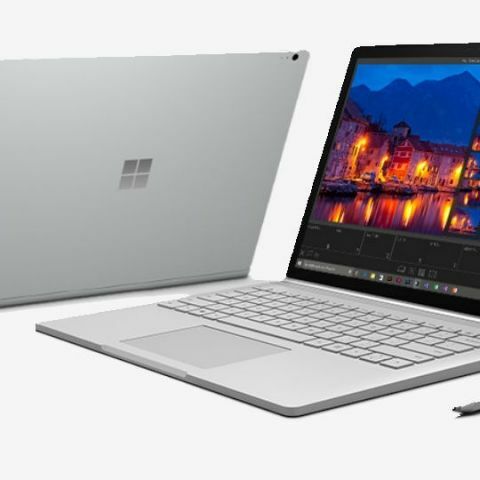 The much-anticipated Microsoft Surface Book 1TB version is now open for pre-orders in the U.S., at a whopping price of $3,199. Earlier, only models ranging from 128GB to 512GB of the laptop/tablet hybrid were available for purchase. Now, with the Surface Book's 1TB version, Microsoft is eyeng the high-end buyers' market, just like Apple. When compared, the 13-inch Macbook Pro with Retina Display, 128 GB storage and Core i5 processor is priced at $1,299 whereas the 128GB, 13.5-inch version of Microsoft's Surface Book is priced at $1,499. Even though the Surface Book's 1TB version boasts of great specs like the sixth-gen Core i7 processor, 16GB RAM and a custom NVIDIA GPU, this model is only for those with extremely deep pockets, or those who would rather stay hungry for a few months than miss out on the opportunity of buying this device. Roughly translated, the Surface Book's 1TB version's will cost about 2 lacs, if and when it comes to India. That said, the Surface Book is a premium laptop hybrid which can transform into three different configurations - a laptop, a tablet, and a canvas. It has a diplay resolution of 3000x2000 pixels, and can survive about 12 hours of usage on battery backup. The Surface Book runs on Windows 10 Pro OS, and with Microsoft's new Universal functionality, the device is going to attract a lot of Windows loyalists. If the price tag of $3,199 wasn't enough, Microsoft is also offering a 'Complete accident protection for Surface Book' at a cost of $249 (Rs. 16,139 approx). According to Microsoft, this coverage plan provides an extended protection against damage, and also offers unlimited software support. For those of you who've already set sights on this lofty, extravagant device, a few extra pounds for damage protection seems to be the wisest way forward.